If you suffer from GERD (Gastroesophageal Reflux Disease) or LPR (Laryngopharyngeal Reflux) you will most likely have heard of Gaviscon. It commonly comes in liquid form from which you are meant to take after meals and at bedtime to help prevent reflux. 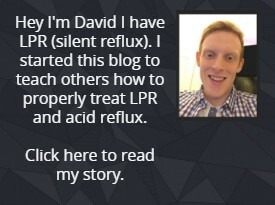 It works relatively well for treating reflux for both GERD and LPR though Gaviscon Advance is definitely a superior version particularly when it comes to treating LPR. Gaviscon Advance importantly the UK version is the best option out there when it comes to Gaviscon. This is primarily because of its high concentration of (sodium) alginate. If you didn’t know alginate is an extract from seaweed so its completely natural which is a nice bonus. The main effect of this alginate is once taken after eating it creates something like a foam like barrier on top of the stomach contents. This barrier will help a lot with stopping against acid reflux and other problematic digestive enzymes like pepsin being refluxed (which is specifically important for people who suffer with LPR). You can read more about pepsin in my complete LPR guide. When comparing the US version of Gaviscon Advance and the regular US version the concentration of alginate is significantly lower. This means that this barrier like effect is basically nonexistent in comparison to the UK version of Gaviscon Advance. Also, on top of this barrier like effect you also get the effect of when the Gaviscon liquid is being taken any acid or things like digestive enzymes that have passed into the esophagus and throat the Gaviscon will have an almost binding like effect that can grab and attach to these acids and bring them back down into the stomach where they belong which will directly help with reflux symptoms. When it comes to directly treating GERD with Gaviscon Advance it has been shown to be effective in studies. You can check out this study here. That study in particular showed it was more effective when compared with regular Gaviscon and that GERD symptoms improved when taking it. This is mainly because of the reasons I mentioned in the above section. It’s also worth mentioning you can also take it alongside PPIs (proton pump inhibiters) tablets to get a bonus effect (read more about it in this study). Just like with GERD there have been studies done to show its effectiveness in treating LPR. In this study patients showed great improvements over each of the time brackets. For me Gaviscon Advance(UK version) is easily the best Gaviscon for LPR and the best medication which can be used to treat LPR, and unlike GERD which can be also treated with PPI anti-acid tablets whereas LPR has been shown to not be positively affected by PPI treatment in this study. The great thing about Gaviscon Advance is that it has little to no side effects and the Gaviscon Advance ingredients are not harmful in anyway. This is because one of the main active ingredients is totally natural and the base liquid isn’t like a traditional anti-acid solution. In fact, its effect in lowering stomach acid is quite low when compared with other similar liquid combinations which means a more natural stomach acidity which is important for nutrient absorption and general digestion. It also has no aluminum unlike most other US versions of Gaviscon which use aluminum as one of their active ingredients which has been shown to be problematic for some people taking it long term. There have been some studies linked to Alzheimer’s disease and aluminum intake but there is no clear link between them as of now. Anyway, you don’t have to worry about that as the UK version of Gaviscon Advance doesn’t contain any aluminum. If you didn’t know peppermint causes reflux so at first when I saw a peppermint flavor for a reflux medication I was confused. Later down the line I learned that this peppermint flavor isn’t from real peppermint and is only an artificial flavor and therefore will not cause any reflux issues. Finally, my own confusion was solved! 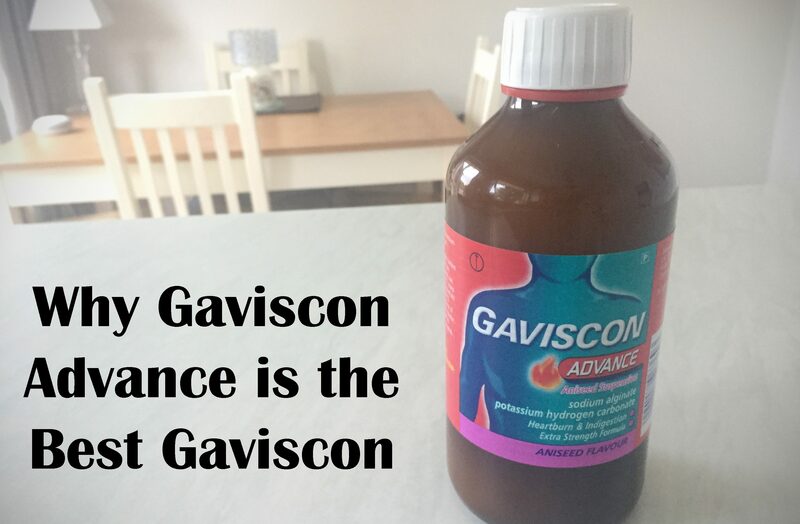 How to take Gaviscon Advance. If you weren’t already aware the best way to take Gaviscon is after eating and not directly after as I used to do myself for a long time. In fact, taking it about 30 minutes after eating will give the best effect. This is because 30 minutes after eating is when digestion is at the most active stage and when digestive enzymes are at their most active point in the stomach. So, taking the Gaviscon at this time will give the biggest benefit. Luckily if you are based in the US it is quite easy to get the UK version of Gaviscon Advance. It is available here on Amazon. While Gaviscon Advance will undoubtedly help with your GERD and LPR symptoms its important to know that it will not treat the root cause of your problem. You need to truly target the root cause to get everything healed and back to normal – for a lot of people this would be treating a malfunctioning LES(stomach sphincter). Also, for both GERD and LPR I recommend following a particular diet which will target the root cause and get you healed and back to normal as soon as possible. You can read more about this diet in my complete LPR guide (the treatment section). Next articleBurning Mouth Syndrome – Can it be Caused by Acid Reflux? Before I was having heart burns which along the line stopped, however I was still having indigestion and bloating. My throat and tongue burns really bad when I finish eating. I even noticed the back of my tongue began to whiten. I went to the hospital and was diagnosed with gastritis, now I understand the root cause of my reflux but the medication the doctor gave me does not improve my symptoms. My throat, tongue and even my ears burn after eating. Also I feel my throat becomes more dry in the middle of the night when I’m asleep. What is really causing this chronic sore throat, will the gaviscon help? Well if you believe you have LPR with a lot of the common symptoms it’s definitely worth trying Gaviscon advance. Based on the couple of symptoms you mentioned it definitely could help you.